Transition is a dynamic effect which is cast in between the transfer from one frame to another. It is primarily used to produce a more dramatic perspective between clips to keep the viewer interested. 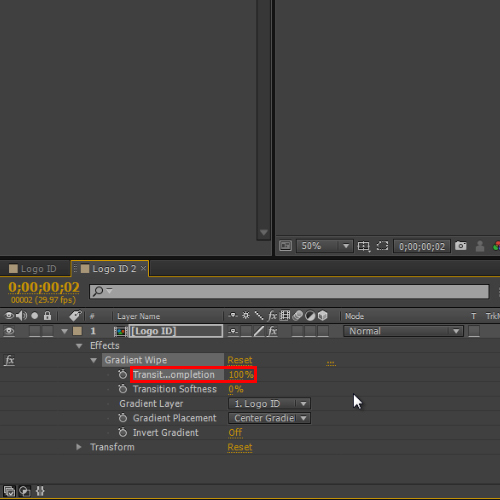 Adobe after effect has the long chain of transition video effects available in it’s effects menu. 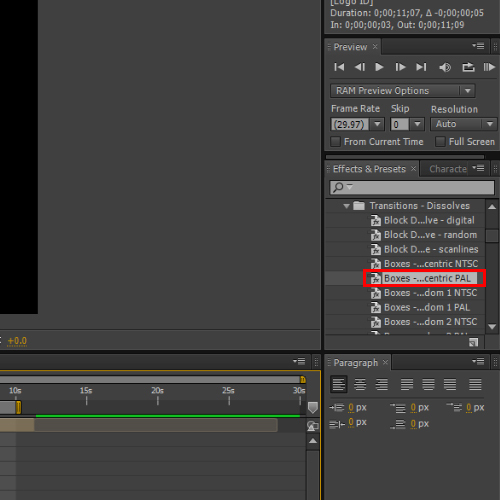 You can apply transition in After Effects as per your liking. First of all, preview the composition once in order to see where the changes should be made. 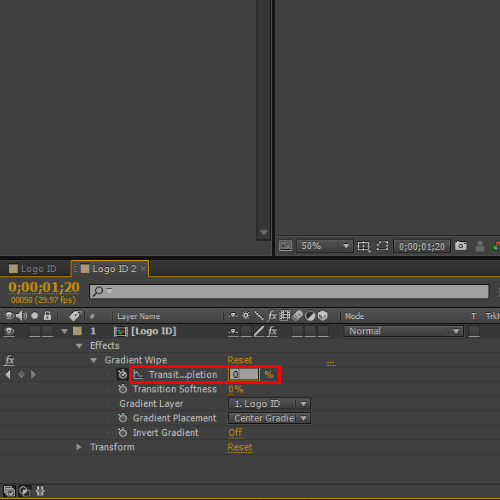 Once done, move to the effect menu and expand the transition folder in After Effects. Apply the gradient wipe transition from menu and expand the effect menu from the logo id layer. Move the Seek bar in the beginning of the composition and increase the value of transition completion to 100%. Next, click on the stop watch located in this menu. Move the timeline seek bar a bit forward and decrease the value of transition completion to 0%. Adjust the key frames accordingly and you are done. You can still add further transition effect in After Effects to this composition. For that, we will be using transition from presets. Expand the presets from the effect menu and apply “Boxes centric path” transition from the transition dissolve folder. 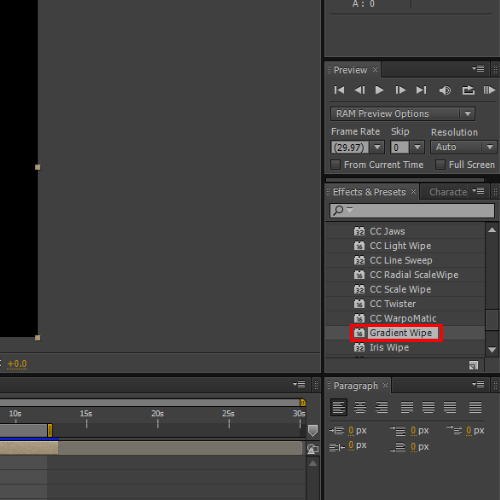 Once the transition effect has been applied, you will see that the clip will respond accordingly. Adjust they key frames as per appearance of the respective effects by expanding the effects menu from the layer and you are done. You can still configure this effect by moving to effect control panel and even the layer inside options.